Sometimes, we make unhealthy decisions for breakfast. We’re groggy and at our most vulnerable, giving into gross cravings like pop tarts and Frappuccino. But sticking to your diet goals won’t be hard at all with these mouthwatering, high protein recipes. 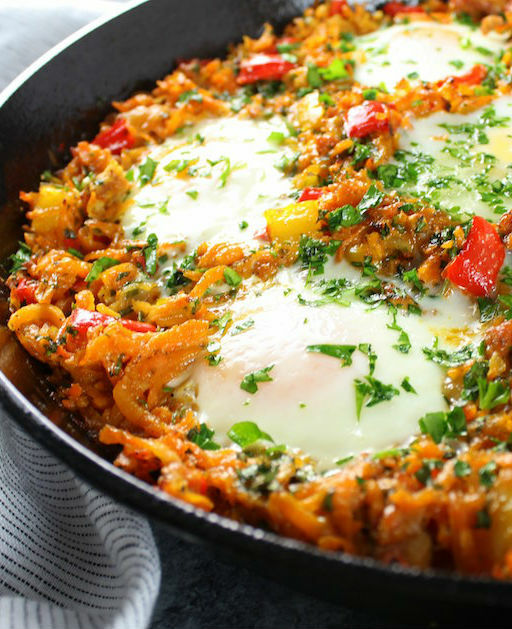 Who knew a breakfast skillet could be healthy? Nutrient filled sweet potatoes are shredded amidst bright peppers, cheese, chicken sausage and eggs. A perfect breakfast for dinner option that will be hard to shake. 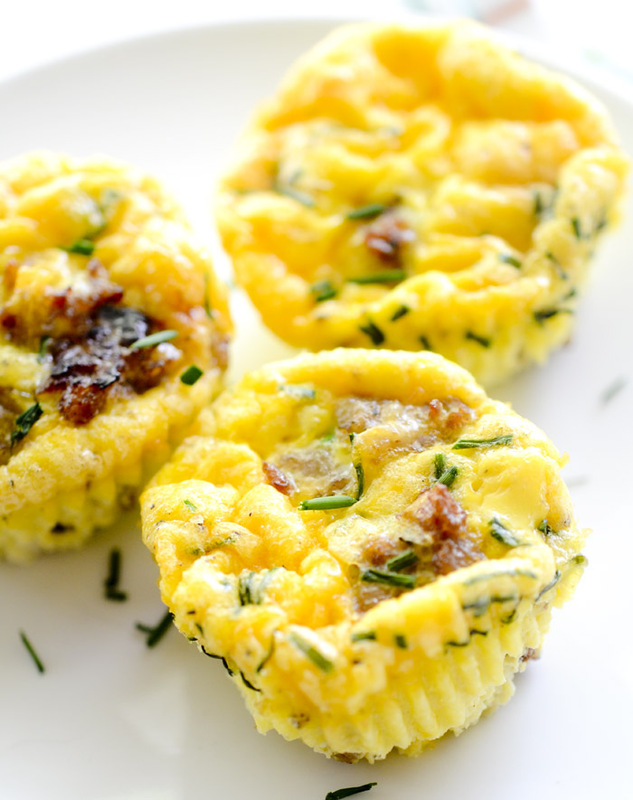 Who needs an unhealthy Egg McMuffin when you can make egg and sausage muffins at home? 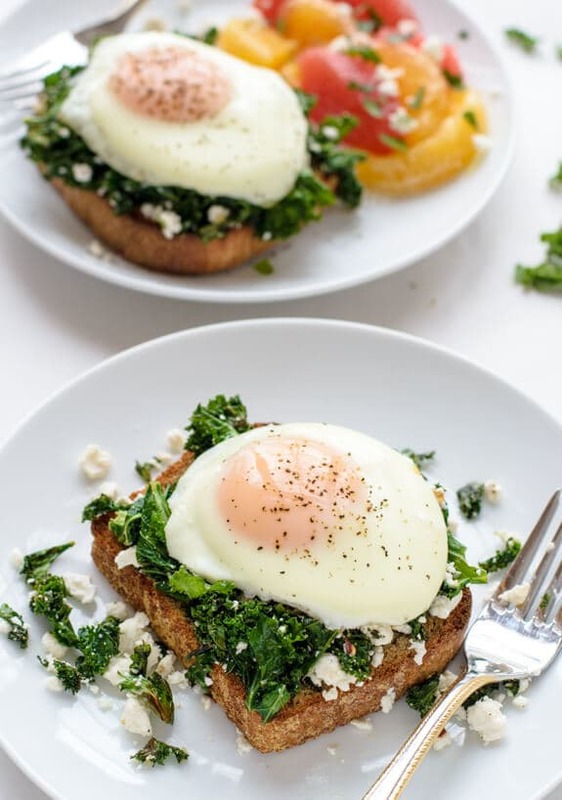 This 4 ingredient breakfast is begging to be meal prepped for your week. 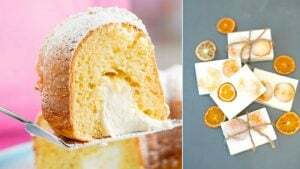 You can swap out ingredients for any dietary restrictions, and it’s bread free – the egg is just shaped in a muffin. Smoothie bowls have been trending for a while, and for good reason. Swap out that expensive acai bowl from Equinox with this protein boost which is filled with pasture raised collagen whey. Sweet tooth will love the dessert inspired blend of cocoa, coconut, and frozen banana dotted yogurt. Mexican food for breakfast sounds delicious at any time of day – maybe for both breakfast and dinner. 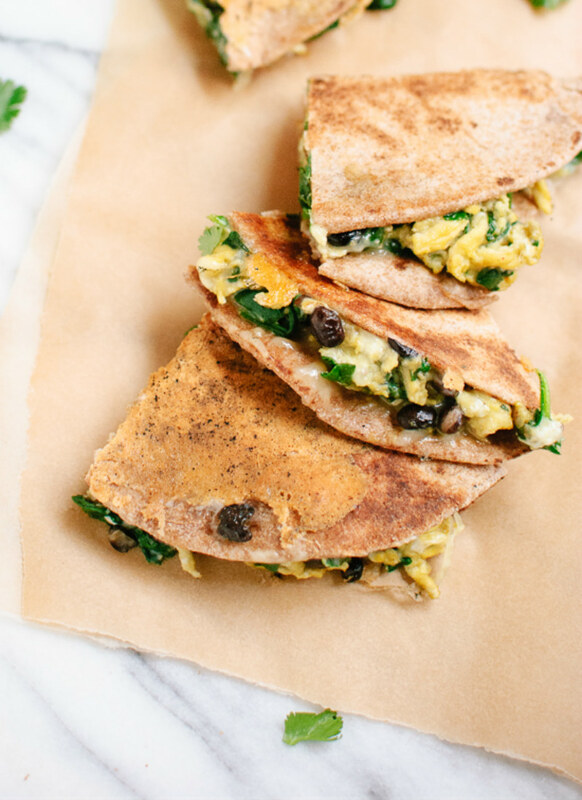 Whole-wheat tortillas are filled with scrambled eggs, a bit of shredded cheese, spinach and black beans. Throw some zesty hot sauce and guacamole (recipe included) on top, and all of your cravings won’t just be met – they’ll be exceeded. 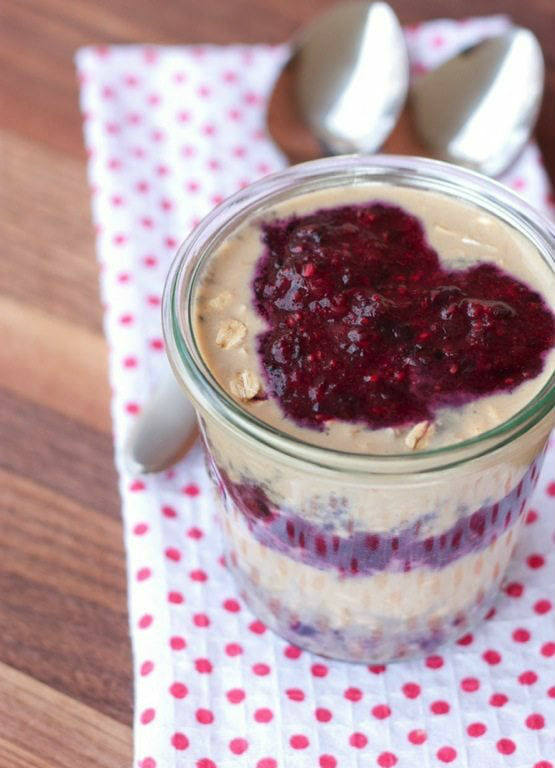 PB&J lovers will find their childhood favorite transformed into a scrumptious overnight oat parfait. Berry chia seed jam, cinnamon, almond milk and vanilla protein powder blend with peanut butter for an irresistibly decadent breakfast that’ll keep you going. You can make your own jam or swap for frozen strawberries. Protein bars are often filled with sugar and preservatives, but you can make them yourself at home for cheap and know exactly what’s in them. 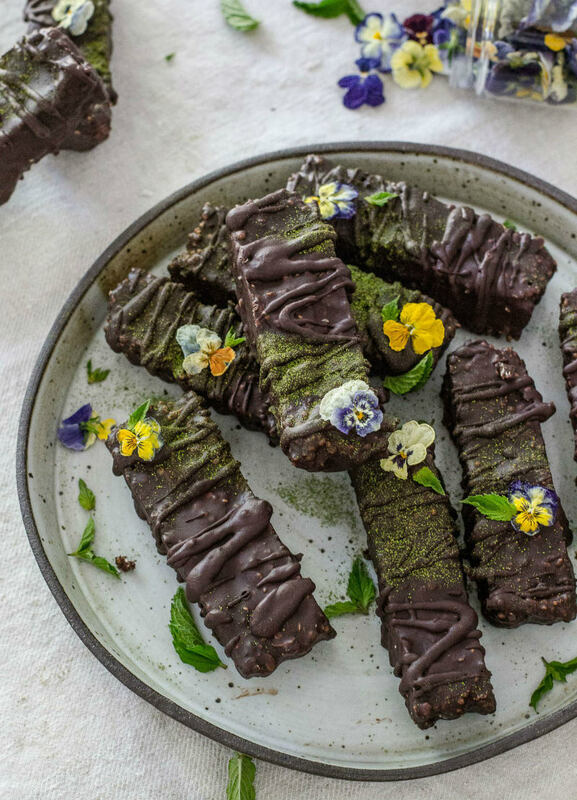 With some puffed quinoa cocoa nibs and chocolate protein power held together by coconut nectar, this irresistibly crunchy protein bar will make an amazing, light breakfast. Some people make a face when the word “kale” is uttered, but this high protein recipe is here to change their mind. Blended with garlic, perfectly salty feta and some poached eggs, a pinch of red pepper helps liven things up. This breakfasts simple, fool proof, and will give you steady energy all day long. You can fry the eggs instead of poaching them, if preferred. Eating colorful foods is good for you, and the same goes for drinking them. This seductively vibrant blue smoothie tastes just like a blueberry cheesecake, and can be used as breakfast or dessert. 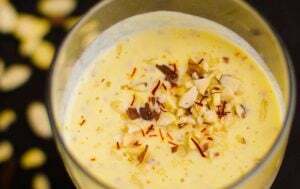 It’ll keep you satiated for hours and is filled with almost 20 grams of protein. 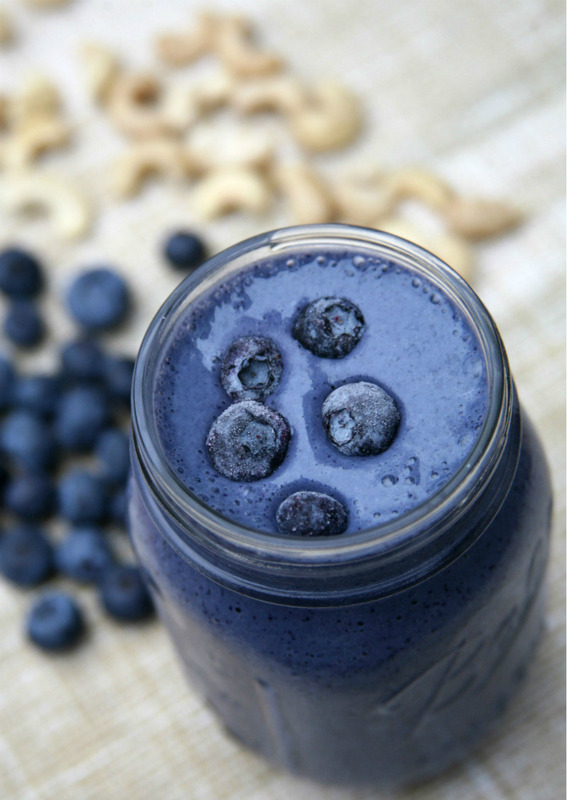 It’s filled with tofu, bananas, blueberries, vanilla soy milk and cashews, topped with a bit of vanilla extract. 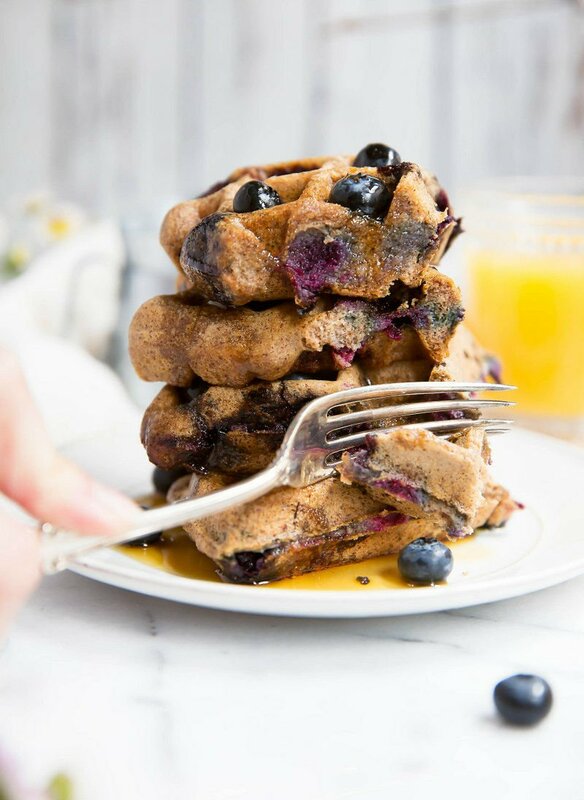 Who would have thought that blueberry waffles could be a healthy and protein-packed breakfast? These paleo waffles are made with almond butter, a pinch of coconut flour, almond extract, mashed bananas and eggs. Throw some blueberries in and you won’t be able to tell the difference between a plate at iHOP or your own kitchen. They’re also sugar, gluten, grain and dairy free. 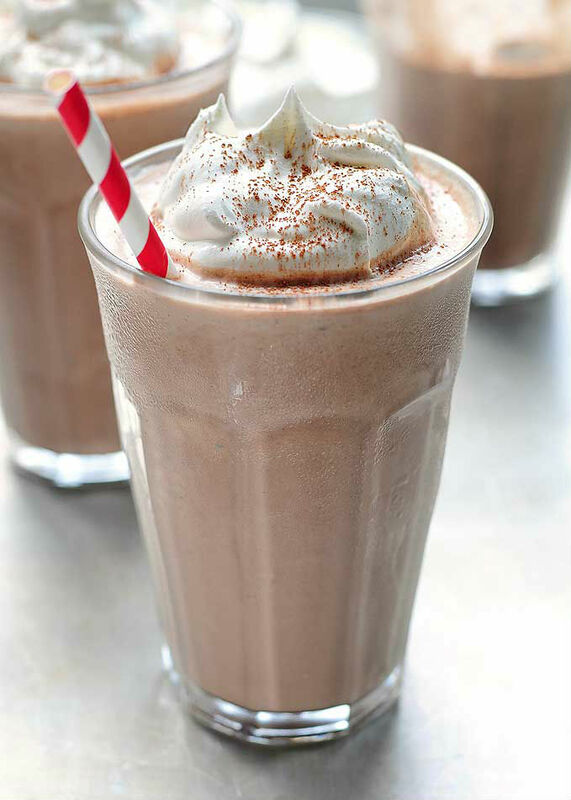 Sometimes we just want to give into our little kid cravings and just have a chocolate milkshake for breakfast. 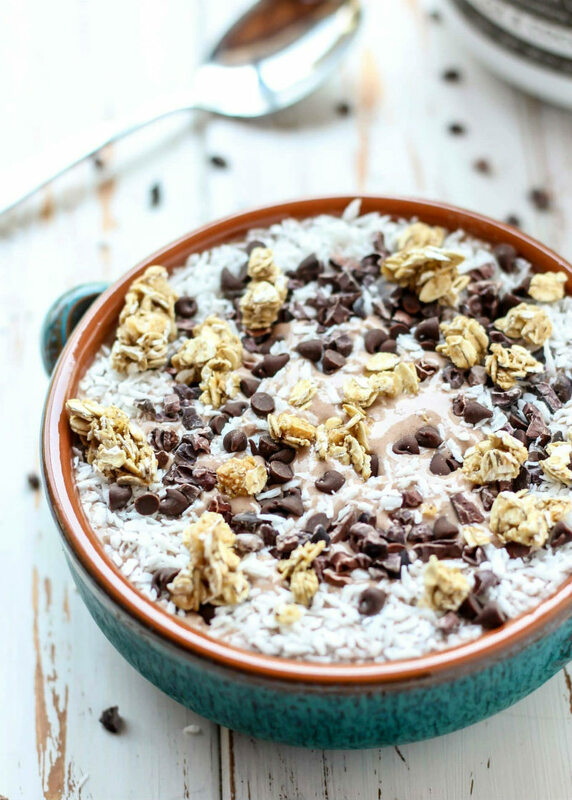 With this healthy adaption, the whole family can sip on this for breakfast without guilt or sugar highs. The addition of tofu makes the texture silky smooth, and clocks in at just 261 calories. No one would judge you if you snuck a dollop of whipped cream in.